Designers and architects are realizing the potential of solid surface materials. Where some may see a flat sheet of plastic, Sterling Surfaces and our design partners see endless possibilities. 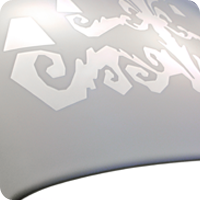 Notice some of the characteristics of solid surface that make it a designers dream come true. Nonporous. Solid surface can be easily maintained with minimal care and does not support microbial growth. This is key when designing for the health care and food service industry.